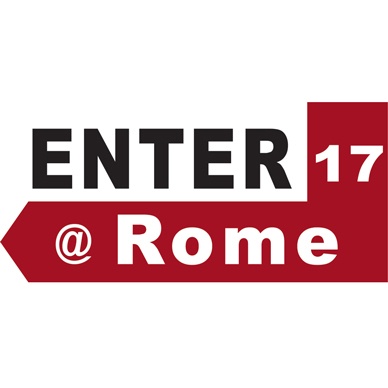 Organised by the International Federation for Information Technology and Travel and Tourism (IFITT), ENTER2017 eTourism Conference Rome will be the 24th annual ENTER Conference. This pre-conference event provides a forum for doctoral students undertaking research related to ICTs in Travel and Tourism to interactively discuss their research with peers, colleagues, and leading supervisors and scholars in the field. Doctoral students at all stages (i.e. beginning as well as nearly completed) are encouraged to participate. The Conference offers a worldwide and unique forum for attendees from industry, academia, government, and other organisations to actively exchange, share, and challenge state-of-the-art research and industrial case studies on the application of information and communication technologies to travel and tourism. The Italian Day offers an insight on local digital tourism development: Destination Branding, Reputation Management, Digital Storytelling, Big and Open Data will be the main topics along the way of this final day of the Conference.